• Made from clear polypropylene to hold most business cards. • Ideal way to personalise presentation folders, ring binders and folders. 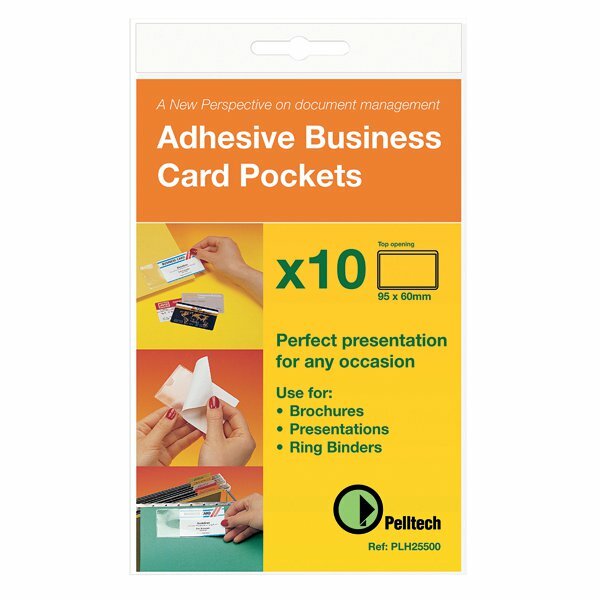 These Pelltech business cards pockets feature a self adhesive backing for attaching to files, folders, portfolios and more. The business card pcokets are side opening for easy access and measure 95 x 60mm. 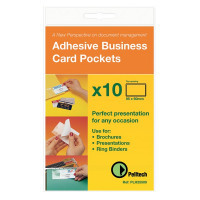 This pack contains 100 business card pockets.